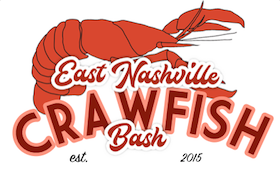 We are now accepting vendor applications for the 2019 East Nashville Crawfish Bash! We welcome many types of vendors including food vendors and trucks, artists, local artisans, non profits and local businesses. Please give us a little bit of information about your business by filling out the form below! Vendor check in is 9:30am. No cars will be allowed on the lot. Vendor break down is 9:30pm. Food Vendor or Truck – $250 vs 10% of sales. At the end of the event, we will ask that you provide your gross receipts. If the total is more than $250, we will create an invoice for the overage.